Black Friday and Cyber Monday SALE !!! Use coupon code Smiling10 to receive 10% off your order!" 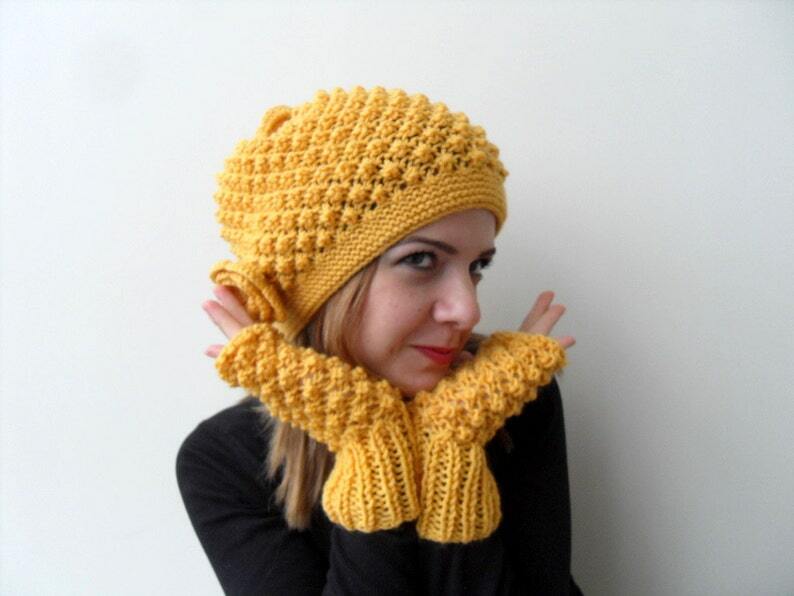 This lovely hat will keep you fashionable and warm in cold days. It is very stylish, Very modern, Very elegant. Perfect accessory for your daily and Night outfit! For best results, hand wash in cold water and lay flat to dry. This hat is hand knitted with 50% Acrylic and 50% Wool yarn. This beret will be a great addition to your wardrobe. I ship from Turkey (Bursa city) and it takes 1 week for Europe and 2 weeks or a few days more for USA. Thank you so much for looking at my works! I accept orders upon request and I advice to you to have a look at my other works! Please do not hesitate to contact with me for any questions. Excellent quality and very, very cute! Highly recommend. And seller really worked hard to get them to us by Valentine's Day. Thank you! Wife loved the the gloves. She was very impressed and thought they were very cute. Thank you for making her day better. Following your order placement, you will receive an email from Shopier. You can securely pay via "Pay Now" button in this e-mail. Its global system provides a simple, fast and secure payment service. Transactions are signed and encrypted via a secure infrastructure and card data is not stored. If you are unsatisfied with your purchase, I will offer a refund within 7 days excluding returned shipping cost, The item must be returned in the same condition. 1-) Please confirm your mailing address when you make payment, it is difficult to determine which address I should be sending your package . Otherwise, I will mail your package to the address written at Etsy! owever the tracking number is good till the package arrives the acceptance (custom) point in the U.S. after the package enters in to U.S. , USPS does not allow me to track the package with tracking number provided by Turkish Postal Service. 3-) Please be informed that I ship from Turkey (Bursa city) and it takes 8-10 days for Europe and 2 weeks or a few days more for USA. If you like faster shipping, please send me a message before purchase the item, I can find out the new (faster) shipping cost and make necessary changes. I'm quite flexible about sizes, colors and details of my designs. I am a convo friendly person so do not hesitate to contact with me if you would like to give a custom order.